Maya Plisetskaya, prima ballerina of Moscow’s Bolshoi Ballet, is the subject of this documentary. Containing some rare footage of her as a child, it covers the development of her career and shows highlights from some of her greatest roles. 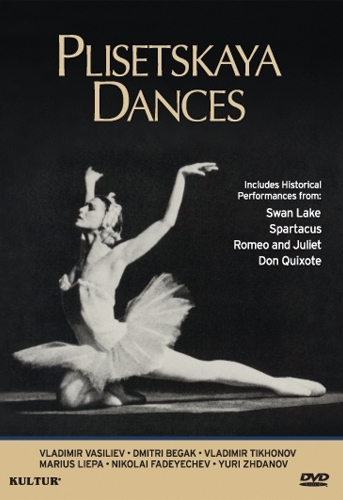 Included in this film are scenes from Swan Lake, Raymonda, The Stone Flower, Romeo and Juliet, Don Quixote and others. A fascinating look at a world famous dancer, Plisetskaya Dances chronicles a career which has been little seen in the West, offering some important insights into the Soviet dance world. This film has been the recipient of many international awards.